Do you really know your customer? Are you asking the right questions to really understand them. Their hopes, their dreams, their disappointments, their … well you get the idea. The more questions you ask, the more you will learn. The more you learn, the more opportunity you have to help you client. And to align and expand your solution to be more profitable. You’ll better anticipate risks and earn your place as trusted advisor and strategic partner. 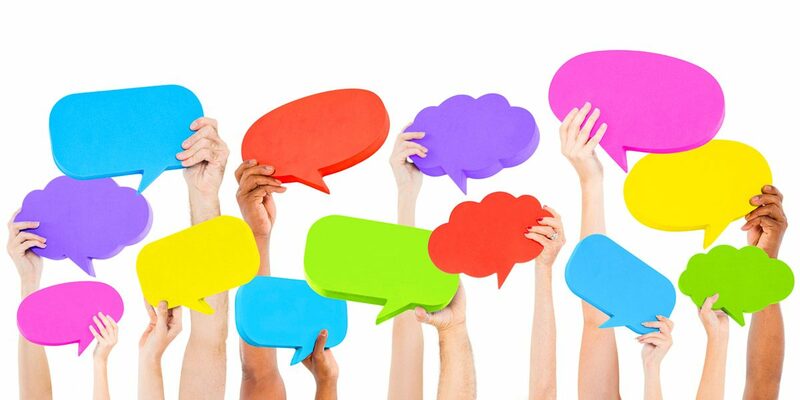 What isn’t your client telling you? Dig below the surface and you’ll find what you’re looking for. 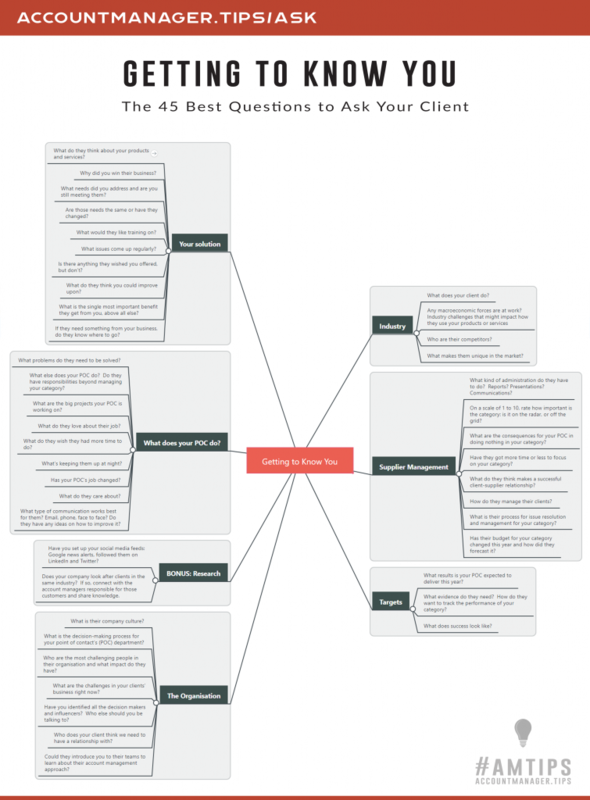 Here’s my list of the 45 best questions to ask your client grouped by topic. What does your client do? What challenges face their industry? Political, economic, social, technological, legal (PEST)? Are there any trade shows and other events they attend? What is their company culture? Who are the most challenging people in their organisation and what impact do they have? What are the challenges in your clients’ business right now? Who are all the decision makers and influencers? Who else should you be talking to? Will they introduce you to their teams to learn about how they manage their clients? What is the vision for their company? Who are on the board? Are they a private or public company? How and when are earnings reported? What problems do they need to be solved? What else does your POC do? Do they have responsibilities beyond managing your category? What are the big projects your POC is working on? What do they wish they had more time to do? What’s keeping them up at night? Has your POC’s job changed? What type of communication works best for them? Email, phone, face to face? Do they have any ideas on how to improve it? What results is your POC expected to deliver this year? What evidence do they need and how do they want to track the performance of your category? What kind of administration do they have to do? Reports? Presentations? Communications? On a scale of 1 to 10, rate how important is this category? What are the consequences for your POC in doing nothing in your category? Have they got more time or less to focus on your category? What do they think makes a successful client-supplier relationship? How do they manage their clients? What is their process for issue resolution and management for your category? Has their budget for your category changed this year and how did they forecast it? What do they think about your products and services? Why did you win their business? What needs did you address and are you still meeting them? Are those needs the same or have they changed? What would they like training on? What issues come up regularly? Is there anything they wished you offered, but don’t? What do they think you could improve upon? What is the single most important benefit they get from you, above all else? If they need something from your business, do they know where to go? Read the “About Us” page on their corporate website. Read any annual reports or listen to their earnings announcements. Watch any webinars your client may have hosted. Does your company look after clients in the same industry? If so, connect with your teams responsible for those customers and share knowledge. If you get the answers to these questions you’ll have a great foundation from which to develop a powerful account planning strategy that not only helps your clients, but helps you crush your revenue and retention goals.